Ahead of the building opening, the museum launched the Center for Family History’s website July 18. The International African American Museum (IAAM) strives to be more than just a collection of exhibits and historical artifacts. Instead, the future Charleston, South Carolina, institution wants to extend its mission of understanding Black family history to individual visitors, starting with its new Center for Family History. Described on its website as “a one of a kind, unprecedented research center with a special focus on African-American genealogy,” the Center for Family History includes an extensive collection of archival material and records that historians and genealogists can reference to help visitors learn more about their own ancestors’ lives. Besides housing records and research materials, the Center for Family History can facilitate individual DNA tests and analysis—all for free. 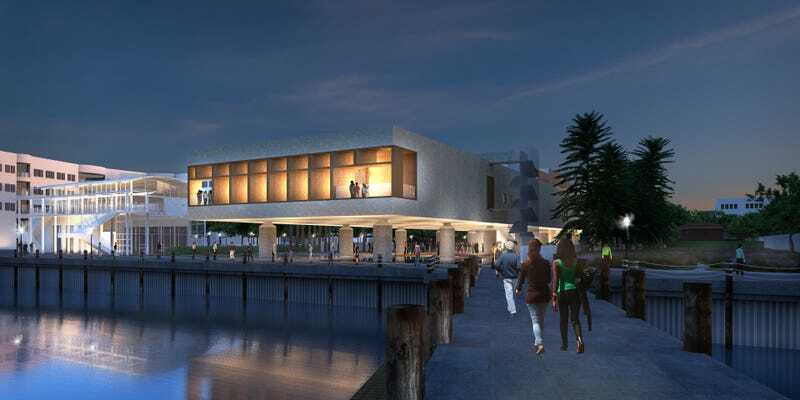 The IAAM’s future home on Charleston’s Gadsden’s Wharf—a port that logged thousands of enslaved Africans who were forced to enter the United States—opens in 2020. Ahead of the building opening, the museum launched the Center for Family History’s website July 18. Users can use it now to research the available marriage records, archival photos and more, and Carrier said that those who are stuck in their searches can contact the center for help.